All annuity rates have seen significant falls of up to 7% during May as the 15-year gilt yields reduce to the lowest ever levels. Gilt yields were lower by 55 basis points from 2.67% to 2.12% and suggests that annuities will continue to fall in June. The dramatic fall in yields is due to the continued uncertainty in the Eurozone with the prospect of Greece leaving the euro and Spain's banking system requiring a bailout resulting in investors moving funds away from these countries to safe havens such as UK government gilts and US Treasury notes. Both Spanish and Italian bond yields increased to near unsustainable levels while rating agencies downgraded Greece and Spanish banks. Poor economic news has also seen equity markets fall thereby reducing the value of pension funds for people retiring and purchasing annuities. Across the board 100% of annuity rates reduced with standard annuities reducing by an average 1.78% and smoker annuities by an average 2.01%. This hides larger decreases for annuitants of particular ages where there are differences. Annuity rates are based primarily on the 15-year gilt yields to provide income to pensioners and a a rough guide a the 55 basis point reduction in yields during May will translate to a 5.5% reduction in annuity rates at some point. This means that based on one month standard annuities have a further 3.72% to fall and smoker rates a further 3.49% to match the change in gilt yields. Fig 1 above shows that there were no increases in annuity rates for May and all rates decreased with a range from 0.3% to 7.0% which is substantial. In some cases pensioners in the process of transferring their fund from their existing provider to an annuity provider could see their annuity income fall by up to 7% if they are aged 55 and taking a joint life annuity with 3% escalation. Also females taking an annuity on a single life basis with 3% escalation could expect a 3.7% fall whereas males would expect a 5.8% fall. Equity markets have also reduced during May with the FTSE-100 index starting the month at 5,812 and down 497 points or 8.5% to end at 5,315. The Dow Jones index in the US was also down starting at 13,279 and down 886 points or 6.6% to end at 12,393. This would mean a 65 year old pensioner with a fund of £100,000 could receive a 50% joint and level income of £5,600 per annum at the beginning of May but now just a month later with the combination of reducing equities and annuity rates this would be £5,058 per annum, a reduction of £542 pa or 9.6%. Many standard annuities had been unchanged for the past three months and this all changed in May with decreases of between 1.4% to 2.9% across the board from all the top providers such as Aviva, Legal & General and Canada Life. The largest decreases were for older annuitants between age 70 and 75 with typical decreases of 2% or more. The highest was for females aged 70 on a single life basis with 3% escalation with rates lower by 2.9%. 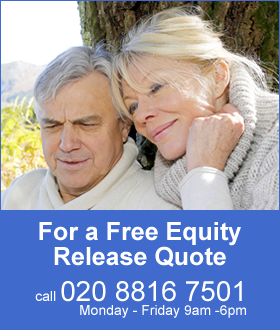 For a male aged 65 with a fund of £100,000 this would mean a reduction of income of £94 per year for a level single life annuity and a female aged 65 for a level single life annuity the reduction would be £131 per year. For smokers the pension annuity decreases were even more substantial in some cases up to 7% and in others only 0.3%. The majority of annuitants aged 75 had only small decreases of 0.3% whereas the younger annuitants aged 55 had decreases of between 4% and 7% for males, females and joint life. For those aged 60 the decreases were between 2% and 5% and aged 65 were between 0.7% and 3.2% with annuitants aged 70 with decreases from 0.4% to 2.6%. For a female aged 55 with a fund of £100,000 this would mean a reduction of income of £304 per year for a level single life annuity and a 100% joint life aged 65 for a level annuity the reduction would be £263 per year. Over the short term the data would suggest that annuity rates will fall further if gilt yields do not recover with standard rates falling another 3.72% and smoker annuities 3.49%. Over longer time periods the difference is not as great so over four months standard rates could reduce by another 2.6% and smoker rates have reduced to the same degree as gilt yields. 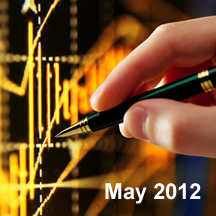 See Annuity Rates 2012 for the latest updates. Impaired annuity rates have decreased and have throughout the month as gilt yields have decreased with all the top providers reducing their rates such as Partnership, Just Retirement, Liverpool Victoria, MGM Advantage and Aviva.